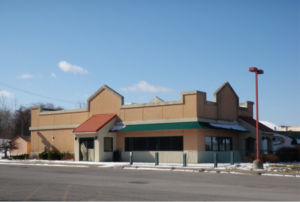 Rochester, NY – Morgan Todd of Pyramid’s Rochester office helps to bring El Rancho Viejo to the Geneseo market. Rochester, NY – Morgan Todd of Pyramid’s Rochester office leased a 2,576 SF retail space to El Rancho Viejo Restaurant. El Rancho Viejo opens their third location in Geneseo, NY, bringing their full service Mexican cuisine to the area. El Rancho Viejo has two other current locations located in Batavia & Watertown, NY. Morgan exclusively represented the landlord in this transaction.